Discover the local, independent businesses that are the heart and soul of NYC in Shoot New York City’s guide to the best of indie New York! I love the independent businesses in New York, they are the heart and soul of the city! In this section you will find bookstores, cafés, restaurants, arts & crafts markets and more. It's an ongoing project to list the best of indie New York so visit often to discover the real New York City. Experience the hidden gems and places that New Yorkers frequent. For more information on many of NYC’s vibrant neighborhoods, have a read of my Neighborhood Guides. I am not compensated for writing these reviews and I'm only writing about the places that I like. 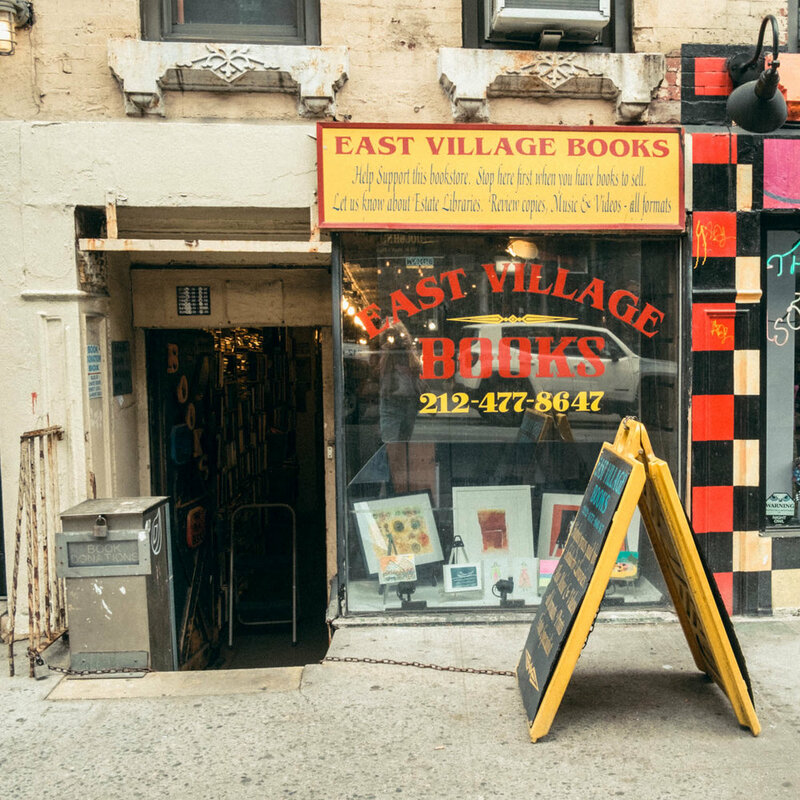 East Village Books is an old style secondhand bookstore. They buy and sell and claim they pay the best price for used books. They've been in business since 1994 and that's saying a lot for a little bookstore in this city! There is a method to the madness if you look closely. Oh the things you can find when you take the time! If you're in the East Village do check it out! East Village Books, 99 St. Mark's Place. Combine sightseeing with a walking photo tour or street photography workshop in New York City with the local independent licensed New York City tour guide, Leanne Staples. See the New York that New Yorkers experience on one of Leanne's urban photo walks! For tourists to NY and for NYC photographers that want to explore the city's off the beaten track and take urban landscape and street photography, Leanne can tailor a walking photo tour just for you! A street photography workshop is a great way to meet new people, learn some new skills and explore NYC. Gift Certificates are available for all tours and workshops too!